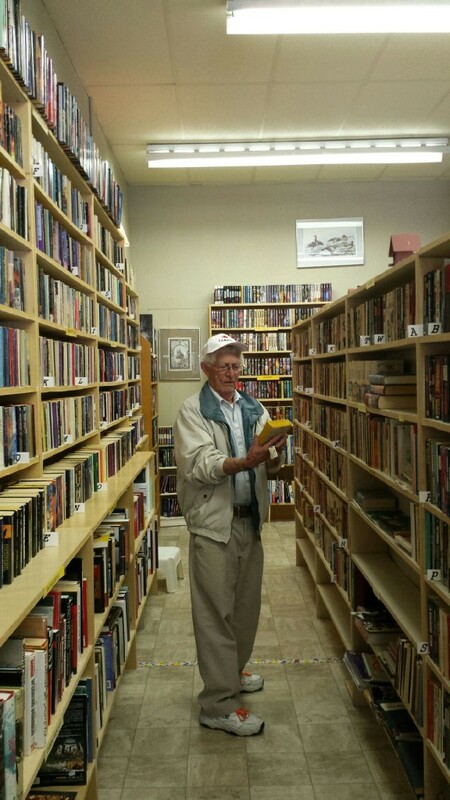 Our dad John Wood loves to read Westerns. 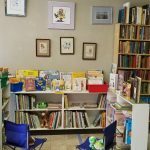 Dragonfly Books is a true family-run operation. The store has been owned by Joanne Boomer and her sister Sharon Jensen since 2008. At any given time, you will find either Joanne, Sharon or Sharon’s son Tyson in the store. Not to be left out, Joanne’s husband Ted oversees all of the accounting duties. 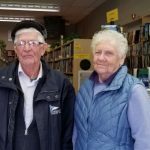 Joanne and Sharon purchased the stock from Janet Murdoch, who was the owner of the Langford Book Exchange (LBE). LBE was established in 1961 by Janet’s grandfather, Walter Sabell. Walter ran the business until he passed away and his daughter, Dot Taylor took it over in 1972 and ran it until 1978. Janet ran the store until she retired in 2008. Langford Book Exchange closed it’s doors and a month later, after extensive renovations and a thorough going over of the stock, the store was reopened as Dragonfly Books. 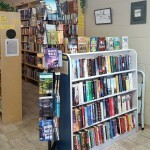 Keith Waters, a co-founder of abebooks.com, supplied Dragonfly Books with an automated system called Guardian Book Systems. The system tracks all of the store’s inventory as well as helps to keep track of their customers wants. The system also has built-in accounting functions. Having an automated system helps Joanne and Sharon know in an instant whether they have a book in stock and lets them know when a new arrival is desired by one of their customers. 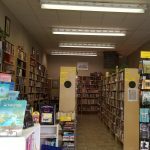 Since their opening, Sharon and Joanne have gotten to know their customer’s preferences and try to keep up with the latest book releases, current authors as well as having old favourites on hand.